Supertech Computers is a 100% Australian owned and operated Multi Award winning computer store that has been serving you since 1995. We have just received stock of the latest GeForce GTX1070, GTX 1060, GTX 1050 and the GeForce RTX2080 graphics cards from nVidia. Our Gaming Pro PC, SLI Gaming PC and the Ultimate gaming PCs have these GeForce RTX 2070, GeForce RTX 2080 and RTX2080 Ti graphics card. From cheap Desktop Computers for Home, Office or business to high performance liquid cooled gaming computers, we have it all. With Supertech Computers it is very easy to buy a Desktop computer online or you are most welcome to pick it up from any of our 2 stores. We are your one stop computer store in Australia. To celebrate our 22nd Anniversary, we are offering free delivery of all our gaming computers to most of Australia. All our desktop computers and Gaming Rigs are on the test bench for at-least 48 hours and have to pass a stringent series of tests before they are sent from our warehouse to our PC shops in Australia. We provide cheap and fast delivery of all our computer all over Australia. We have customers all over Australia (Adelaide, Brisbane, Cairns, Canberra, Darwin, Gold Coast, Hobart, Melbourne, Launceston, Perth, Sunshine Coast & Sydney) who buy computers from us online. We are more than just a computer shop, Supertech Computers is a multi-award winning computer manufacturer that has been serving you since 1995. We are a PC manufacturer that caters to gamers, home and businesses. We have the best computer deals online. We do not sell PC parts or accessories. 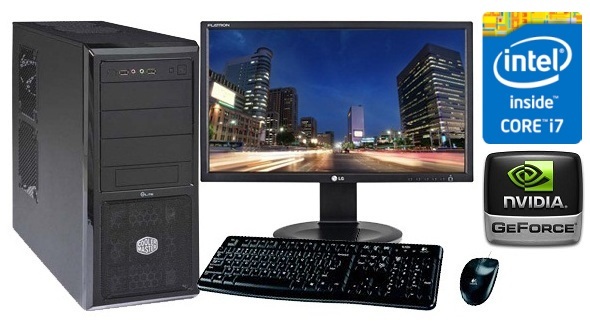 If its performance you are after from your new desktop computer then have a look at our THE BEAST COMPUTER system online today. It has the latest Intel 8th Generation core i7 CPU, 16GB RAM, a 1TB SATA 3 Hard drive, a super fast 250GB Solid State Hard Drive and a dedicated GeForce GTX 1060 Gaming Graphics card. We also have a PC with the latest Intel 8 core i7 CPU and 10 core i7 CPU. This PC is designed for CAD, Gamers, Video / Photo / Music editing. 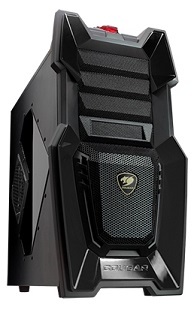 If you want to buy a desktop gaming computer online in Australia then we have them too. From cheap desktop gaming PCs to high performance fast desktop gaming computers - we have them all. Have a look at our Gaming PRO PC - this fast gaming PC features the latest Intel i7 CPU, 16GB Gaming RAM, Solid State Drive, 2TB Hard Drive, 8GB GTX1070 Graphics card and liquid cooling for the CPU. If you want more gaming grunt then you also have the option of the latest nVidia GeForce GTX1080 Graphics card. The Gaming Pro computer is one of our fastest i7 desktop gaming computer so far - and we provide free and fast delivery to most Australian suburbs. We also have cheap gaming computer under $1000. Do you need a gaming computer or a standard desktop PC? A gaming PC will also act as a standard PC but will be faster and more stable. A gaming computer has better quality motherboard, RAM and a power supply unit that is specifically designed for a gaming computer. Also a gaming computer has a much faster graphics card - generally a GeForce graphics card - well known in Australia. Also make sure that your gaming PSU is compliant in Australia and meets your gaming computers requirements. We specialise in professional as well as gaming computers. We have CAD PC, PCs for photo or video editing, Gaming computers and computer for share trading, Forex and day trading. Our CAD computers are designed for professionals such as designers, Architects and shop fitters. If you live in Australian Capital Territory (Canberra) , New South Wales (Sydney), Victoria (Melbourne), Queensland (Brisbane, Gold Coast & Sunshine Coast), Western Australia (Perth), South Australia (Adelaide), Tasmania (Hobart) or The Northern Territory (Darwin), then you can buy a computer online from Supertech Computers. We are your one stop online computer shop for gaming computers, CAD PC or trading PC. Over the past 22 years, we have seen many computer stores come and go. Most of them are there for a very short time. They sell the lowest quality parts at the cheapest price. Even claiming warranty from them is a nightmare. Supertech Computers has been serving you since 1995 and we are here for the long run. We are you one stop online computer shop. If you want to buy a computer online for gaming, home or business use then give us a call today on either 1300 891 530 or 0403 326 639 . We can custom build you a computer package to suit your budget and needs. When you buy your new computer from us, we can have it ready to pick up from either of our computer shops in Brisbane within 4 hours. If you are outside Brisbane then we can arrange cheap or free delivery from our computer stores in Brisbane. We sell PCs for trading shares or currency (FOREX) as well. we have customers in Terrigal, central NSW and Gold coast who always buy these trading PCs from us. We have the latest 8th gen i7 Gaming computers and i5 gaming computers in stock at all times. It is not easy buying a cheap gaming computer online. You don't know who to trust. Most online businesses are there for a short term only. Supertech Computers has been serving you since 1995. 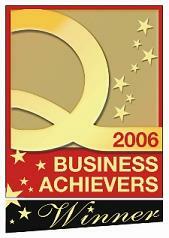 We are a multi-award winning computer company. Make sure you know who you are dealing with before you buy you desktop computer online for gaming, business, or home. Although we have computer shops in Brisbane, we supply desktop computers all over Australia. We currently have a huge sale on gaming computers with free upgrades on all models. Don't just buy a gaming computer Online because it looks good in pictures or its colour matches with the decor of your house. Most of the pictures that you see online of computer are for illustration purpose only. Buy a gaming computer online so that it does what you want it for - Horses for courses. Don't buy a low end computer with 8GB RAM if you want to play games or want to edit pictures and movies. We have i7 gaming computers with 16GB RAM and 32GB RAM. So if you are anywhere in Australia and want to buy a computer for gaming, home, office or education online then call us today on 1300 891 530 or 0403 326 639. We provide very fast and cheap delivery all-over Australia - Adelaide, Brisbane, Cairns, Canberra, Darwin, Gold Coast, Hobart, Launceston, Melbourne, Perth, Sunshine Coast & Sydney. If you live in Australian Capital Territory, New South Wales, Victoria, Queensland, Western Australia, South Australia, Tasmania or Northern Territory, then you can buy a computer online from Supertech Computers. We are your one stop online computer shop. If you are in Brisbane then feel free to visit any of our two computer stores in Brisbane located in the Southside. *Subject to suitability assessment and credit approved applicants only on a Lombard 180 card. Terms, conditions, fees and charges apply including a $99 Annual Fee, charged on the account open date and annually on the anniversary of the account open date. Minimum finance amount applies and is based on the Interest Free term. Interest, currently 22.99% p.a., is payable on any balance outstanding after the Interest Free term. Ask in store for details. Credit provided by Lombard Finance Pty Ltd ABN 31 099 651 877 Australian Credit Licence number 247415 (Lombard). Lombard® is a trademark of Lombard. Lombard is a subsidiary of FlexiGroup Limited.